Insurance for college students is probably the last thing parents want to think about ...Saying the last goodbye in the dorm parking lot, you realize more than ever that you can’t protect your child from every risk. It’s time to let go. But back at home, you can assemble a strong financial safety net. Knowing what your current insurance will pay for — and whether you need to buy extra coverage — is a good first step. Here’s how to evaluate your auto, homeowners, life and health insurance needs as your kid heads to college. Ask your insurer about an away-at-school discount. Some companies offer a price break if the college is at least 100 miles away from your home. Keep the student listed on your policy, so your son or daughter has coverage at home on breaks,.Maintaining continuous auto liability insurance also keeps rates down over the long haul. Consider the risks. It's typically the first time the child has been away from home. Why add the responsibility and temptation of a set of wheels right away? In fact, many private colleges forbid Freshmen to have cars at least for the first semester. Let your insurer know if your child takes a car. Some insurers might reprice the policy based on the school’s location. Your coverage price might go up or down. Car or no car, don’t forget about the good-student discount. Many insurers offer one for maintaining at least a B average. Your child’s stuff will be covered under the parents' insurance in a campus dorm. Check your policy for details. Some policies limit coverage for belongings away from home to a percentage of the total amount of coverage for all possessions, according to the Insurance Information Institute. Typically there are also coverage limits on expensive items such as computers. Talk to your insurance broker about buying extra coverage for these items if necessary. Students who live in off-campus apartments can sometimes need their own renters insurance policies. 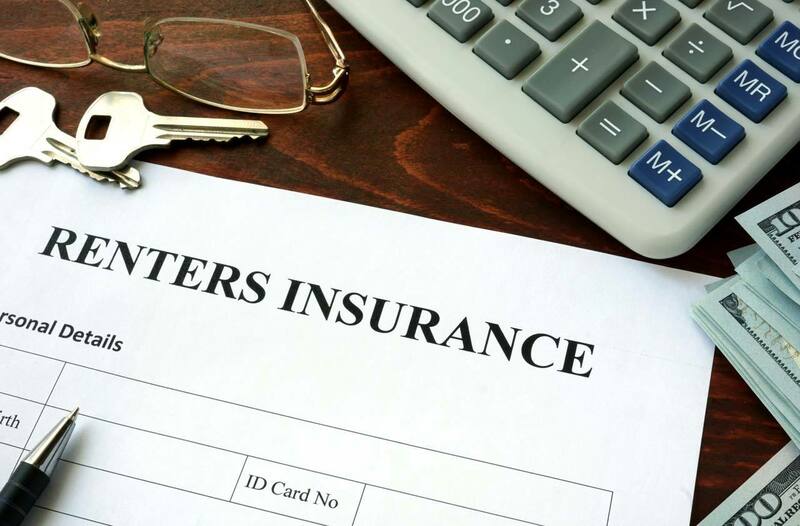 Renters insurance covers belongings and, like homeowners insurance, provides liability coverage if your kid inadvertently harms someone and is held responsible. Make sure your liability insurance includes personal injury coverage. If not, you can add it for a small price. Among other things, personal injury coverage would pay for legal defense and settlement costs if your son or daughter were sued for posting something objectionable on social media. Another insurance for college kids issue is life insurance. If you don’t have life insurance and your income is crucial for paying the college tuition bills, then shop for a term life insurance policy to cover you at least until the youngest child graduates from college. You may also want to buy a small term life policy on your child, especially if you need to co-sign private college loans. Federal loans usually have a forbearance clause for death or disability of the student borrower, but not private loans. Private lenders will follow the co-signer until the loan is paid off. With the average cost of college student health insurance approaching $400 per month, check whether your health plan’s provider network includes doctors and hospitals where your child will attend school. Most colleges and universities have their own student health plan, or SHIP. The SHIP is essentially a local major medical insurance policy for the student to use during the year to cover anything that would be beyond routine office visits on-campus. The school's student health fees typically cover on-campus services like urgent care, mental health treatment and routine office visits up to a maximum per semester. Parents, think "infirmary" in the old days and that's what this plan covers. You’re not alone if you find health insurance confusing. Contact your health plan or health benefits administrator at work. For help finding a marketplace plan, log onto Healthcare.gov or your state medical insurance exchange to get contact information for free, in-person assistance. More changes are ahead as your child gains independence. When you think about insurance for college students make sure you review your insurance policies annually to make sure you have the right coverage. We've got college students ourselves, so we've been through this entire analysis ourselves. Most of these insurance issues for college students can be addressed by spending just a little bit of time reviewing your own coverage. If you'd like to discuss anything you've read here, please comment below or feel free to call us.